You can purchase the new Saniflo UP here. 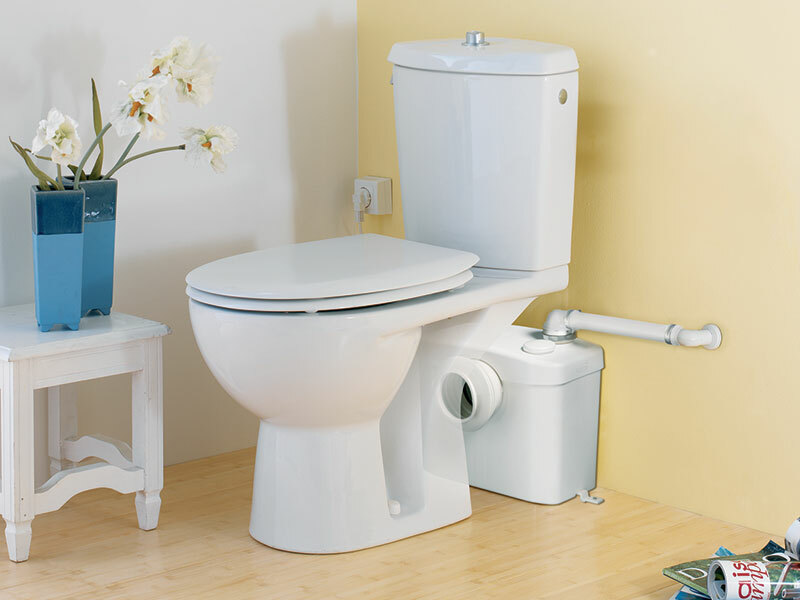 The Saniflo is the original macerator pump, to allow you install another toilet virtually anywhere. Popular applications include a loft conversion, in a basement, or under stairs. 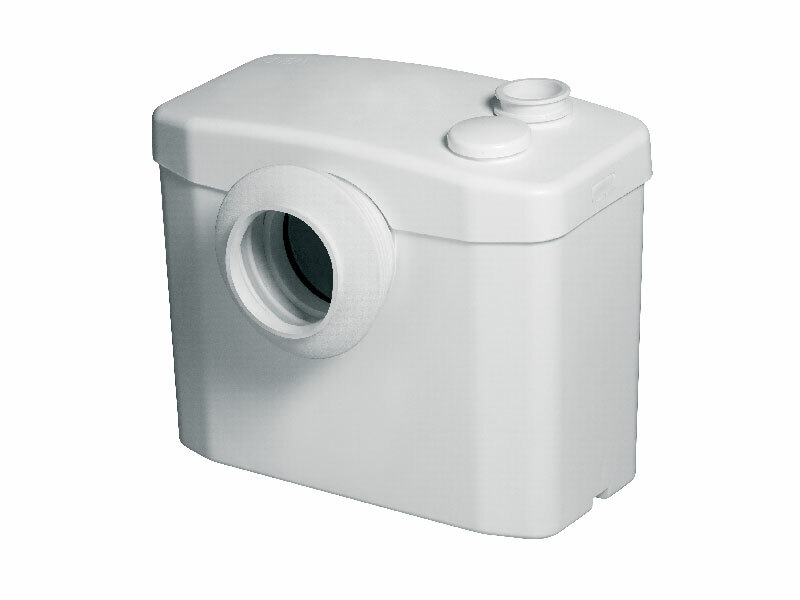 It is the ideal small bore macerator pump for use with a single toilet, and comes in all standard bathroom suite colours. 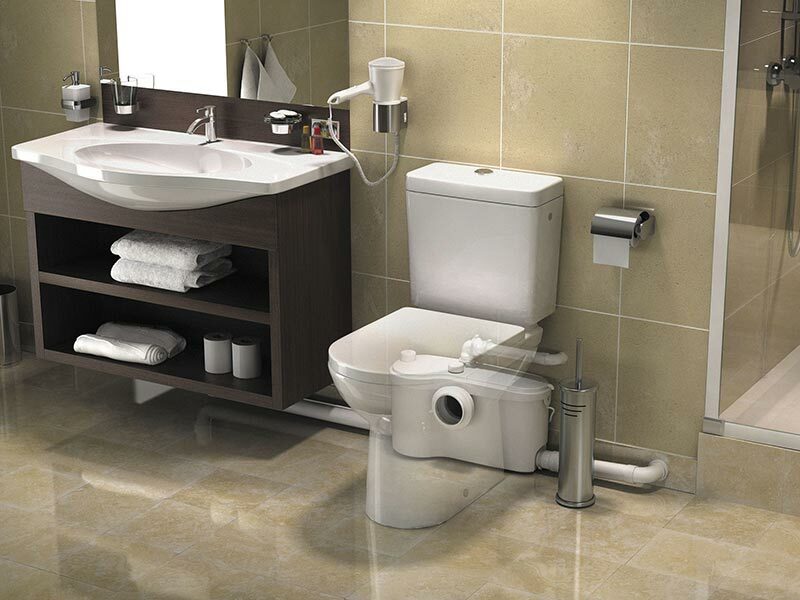 It automatically activates when the WC is flushed, and can pump waste up to 50 metres horizontally and four meters vertically. The current model is slightly wider than the previous one, to reduce the noise level from its operation. The Saniflo along with all of our Saniflo Systems and Kinedo Shower and Bath Solutions can be bought online with the reassurance of dealing with Ireland’s official Saniflo and Kinedo agent.